Academic eye: Is Brazil an exotic model in the future of work? According to The Economist (January 3rd-9th 2015), freelancer workers are reshaping models of careers and the nature of companies. In fact, business schools and companies around the world know that business environment is going through huge transformations that especially impact the nature of work, the profile of workers, the relations among them, as well as their organizations. In addition, technological aspects, demographics, the intensity of urbanization and resources scarcity, just to mention a few, pose barriers and challenges to the development of companies with consequences to individuals, organizations and society. Last year, we from FGV/EAESP – NEOP and PWC-Brazil joined efforts to conduct a research with 113 companies exploring this situation in Brazil and analyzing the abilities and the expectations of qualified workers, as well as the strategies of their companies to cope with the changes mentioned above. We would like to share with the Council on Business & Society some results of this research. Most of the companies studied are big companies (54%), 18% are medium-sized, and 28% are small companies, from different sectors: industries (19%), financial services (15%), technologies (13%), services (11%), oil and gas (8%), and others. In general, the results confirmed that the profile of workers is changing and affecting companies. Companies are suffering the impact of the following trends: i) to retain qualified workers, ii) to deal with new values and expectations regarding work and society, iii) to improve new technologies of communication and iv) to face the demographics changes. 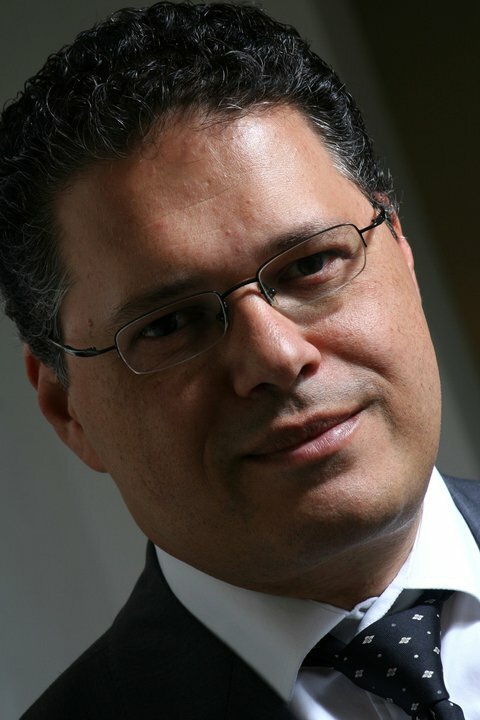 João Lins Pereira Filho is a partner at PwC, Director of People & Change consulting in Brazil. In fact, the scarcity of qualified workers is not a Brazilian problem only. Another research conducted by PWC around the world with more than 1,300 executives, indicates that this is one of their major concerns in businesses too. The absence of qualified workers is due to fast changes and the time it takes for professionals to adapt to new demands. Workers of the 21st century must have multiple abilities and intellectual capabilities. As services increased during the last decades, workers are also expected to interact with customers, have emotional intelligence, and deal with questions such as style and aesthetics. In this scenario, the results of our research not only shows that workers have more opportunities to learn and to use their creativity at work, but also that they have to be entrepreneurs of their own career and be responsible to keep their employability. In that sense they are alone and the limits between personal and professional life are more and more blurred. Such conditions also increase stress. Another question addressed by our research is the expectation for the future. Almost 100% of the professionals surveyed look for a competitive salary in the job market. They also seek personal realization in their work, valuing balance between work and family, good relationships with colleagues, and a good environment at work. Meritocracy (96%) and mobility in career (95%) were important values for those professionals and most of them (95%) also seek flexibility regarding time both during the working day as well as their employment contracts. Considering these changes, what are the main strategies of companies to keep their employees and their market’s competitiveness? Our research showed that 58% of companies are looking for strategies of retention and payment of workers, as well as trying to promote balance between personal and professional life. Companies are also promoting professional qualification (52%) but they are not supporting flexibility at the workplace (26%), valuing different generations in the organizational setting (25%) or developing strategies to promote healthy conditions among workers. Even worse are strategies to promote flexibility for women: only 6% of the researched companies have specific strategies for them. Given that in Brazil government data shows women to be in general more educated and qualified than men, companies seems to have lost the best part of the country’s workforce. In sum, companies recognize trends for the future but they show difficulty in establishing priorities to promote the engagement of qualified workers, attributing importance to traditional issues as payment and development but neglecting others as flexibility and meritocracy. Moreover, companies are not paying attention to different generations in the workforce and the necessity to value them differently. In our view, these trends and challenges are present in many countries, not only in Brazil. We are also convinced that this environment is an opportunity for Business Schools to discuss how new generations of qualified workers could work together to maintain companies’ competitiveness and at the same time promote individual careers while preserving a work-life equilibrium. Maria José Tonelli, full Professor at the Department of Management and Human Resources at FGV-EAESP, and Director of NEOP – Research Center on Organizations and People. Dr. Maria Jose mainly works in the area of Organizational Behavior and Human Resources Management, with focus on gender and work. João Lins Pereira Filho is a partner at PwC, leading the consulting practice of People & Change in Brazil. With more than 20 years of consulting Experience in Brazil, Joao Lins has advised national and multinational companies, as well government organizations, in areas such as people strategy, human resources management, organizational design and change management.